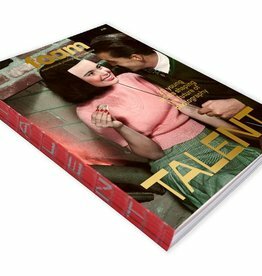 This edition of Foam Magazine Talent Issue contains a selection of 20 artists delineating photography’s state of affairs. Next to floating trends and tendencies, artists have been steadily focusing on social, political and environmental concerns, often intertwined with identity and personal representations. Today’s emerging photographers cross borders with striking ease. Classic two-dimensional representation is now interchangeable with object installations, making the experience of the work as important as its vision. Archival materials continue to have a very important role, together with multi-layered, long-term research. As always, each portfolio is accompanied by a critical essay offering further insight into the nature and concept of the project. The annual Foam Magazine Talent Issue and the related Talent Programme are supported by the Deutsche Börse Photography Foundation, the Niemeijer Fund and the VandenEnde Foundation. Foam Magazine is sponsored by Igepa Netherlands BV, supplier of excellent paper.